Have you ever dreamed of being a Disney princess? A super-fan has written to the boss of Disney to ask why Disney princesses don't wear glasses. Lowri, who's nine and has worn glasses all of her life, thinks Disney characters with glasses are often seen as geeky instead of beautiful. She doesn't want girls who wear glasses to feel as though they aren't beautiful and has asked for the next Disney princess to wear specs. In her letter to Disney's big boss, Robert Iger, she said: "I've grown up watching Disney princesses and I've always admired them and thought they were beautiful. Unfortunately none of the princesses wear glasses and that made me feel as though I'm not beautiful enough. "Please may you make a Disney princess with glasses? I feel like there's lots of girls who wear glasses and I don't want them to feel like I did. "Sadly, most of the characters who wear glasses are called geeks and I don't think that's fair." In response to Lowri, a Disney spokesperson said: "Disney holds a special place in the hearts of millions of people...our stories are timeless because they speak to the heart. "Disney remains committed to continuing to create characters that are accessible and relatable to all children." 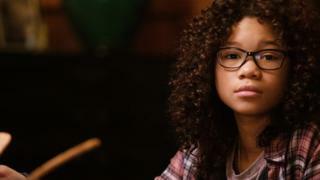 In recent years, many lead characters in Disney films have had glasses, including Storm Reid as Meg Murry in A Wrinkle in Time, Sadness from Inside Out, Carl Fredricksen in Up, and Edna Mode in The Incredibles 1 & 2. Do you think the next Disney princess should wear glasses? Send in your comments to newsroundschools@bbc.co.uk or why not send in your pictures or videos telling us what you think the next Disney princess should look like. We really want to see your drawings! Click here to send in your videos and pictures. Bo Peep gets a serious makeover: What do you think? The Beatles v BTS: How do these supergroups compare? I wear glasses now but only last year I wore contacts because I thought that looked silly but now I feel confident in wearing them. I wear glasses and they aren't geeky or nerdy, they're pretty cool to wear! I agree with Lowri. 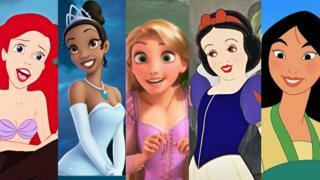 More Disney princesses should wear glasses because we are all different. I think more Disney princesses should wear glasses because we al are unique in are own ways it is important to stand out sometimes. I wear glasses and i think that they are not geek but cool! I don't wear glasses, but I do see Lowri's point of view. We are all different, unique and equal, so why shouldn't princesses or any other TV or movie characters wear them? I wear glasses! I support you in your campaign, Lowri!